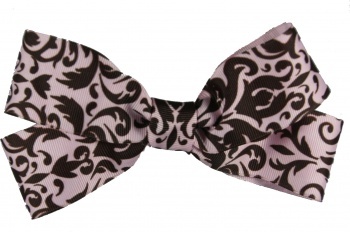 Chocolate Brown and Pink Paisley wrapped in a Boutique style bow without tails so the four loops are longer. This is a stunning 1.5 inch grosgrain ribbon that has a flat center with the same ribbon. It is attached to a French Clip. This is a great color combination and pattern that anybody will love. 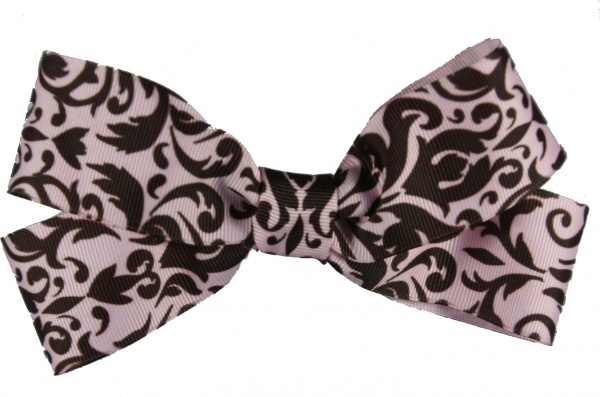 Light pink ribbon with chocolate brown paisley.